1956 Royal Enfield Clipper looked sharp in Indian Fire Arrow red. 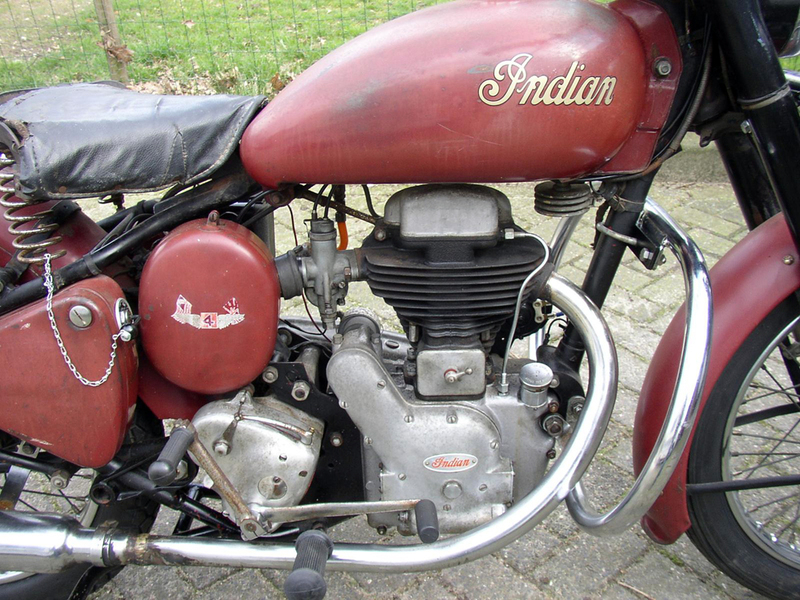 It's a 1956 Indian Fire Arrow, by Royal Enfield. 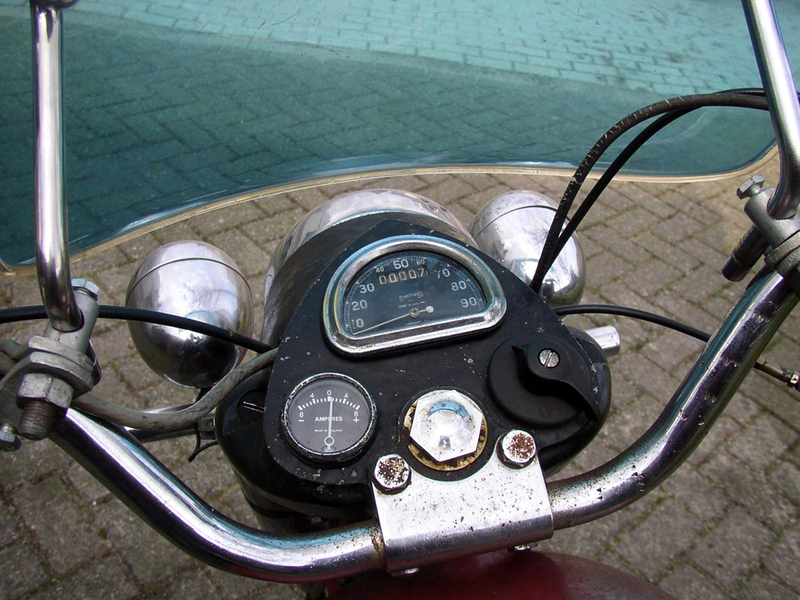 Hans van Heesch in the Netherlands was kind enough to share these pictures of his motorcycle. I earlier showed his 1959 Indian Chief. Hans says that he buys his Indians in the United States — certainly a roundabout way for a British Royal Enfield to get to Europe. This Indian Fire Arrow sports original paint. 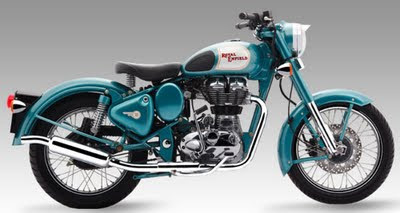 When the hallowed American firm Indian stopped making its own motorcycles in 1953, Royal Enfields were bought in and rebadged for sale in the U.S. as Indians. 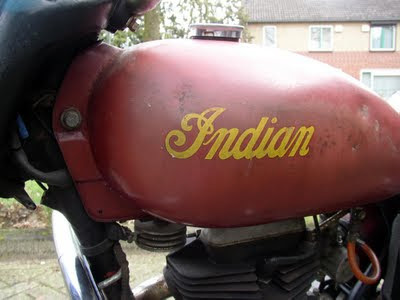 The Royal Enfield line was so broad, at the time, that Indian instantly gained a full spectrum of products. His Fire Arrow sports original paint, Hans writes. According to the literature I have on hand, the Fire Arrow was a 248cc single-cylinder Royal Enfield Clipper, with the Indian mascot on its front mudguard. It had Royal Enfield's revolutionary swinging fork rear suspension. Nacelle is Royal Enfield, but where are the pilot lights? 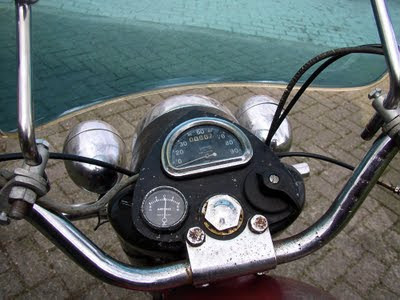 ﻿In the America of 1956 it was a considerable innovation for a motorcycle to have a rear suspension of any kind! Kidney belts were a not uncommon accessory for the motorcyclist of the day. The Fire Arrow came in Indian red, with a black frame and forks. This was a bright change for the Clipper which, in England, came in (shudder) olive green. 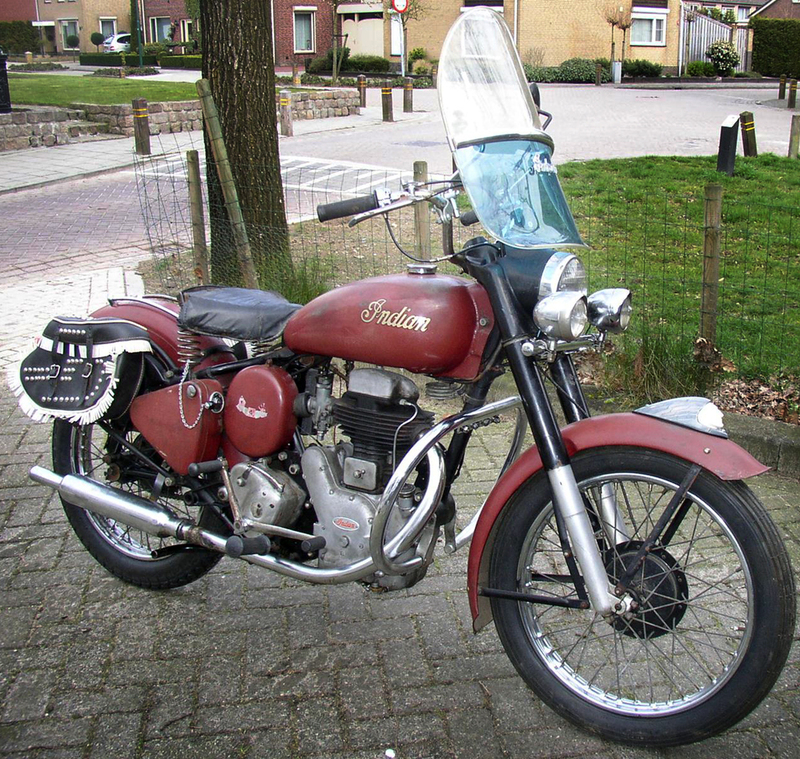 250cc size was popular in Britain as a learner's motorcycle. Extraordinary for a Royal Enfield is that the Fire Arrow (and Clipper) had the corporate nacelle, or casquette, enclosing the headlamp and instruments, but with a difference. Look closely: there are no pilot lights! A Royal Enfield with no neutral finder? Another omission: No neutral finder on the Albion transmission! This was a Royal Enfield built to a price, obviously. The oval air-cleaner box was new for 1955. Want to see another example of an oval box on a Royal Enfield? Check out the newest Royal Enfield C5. 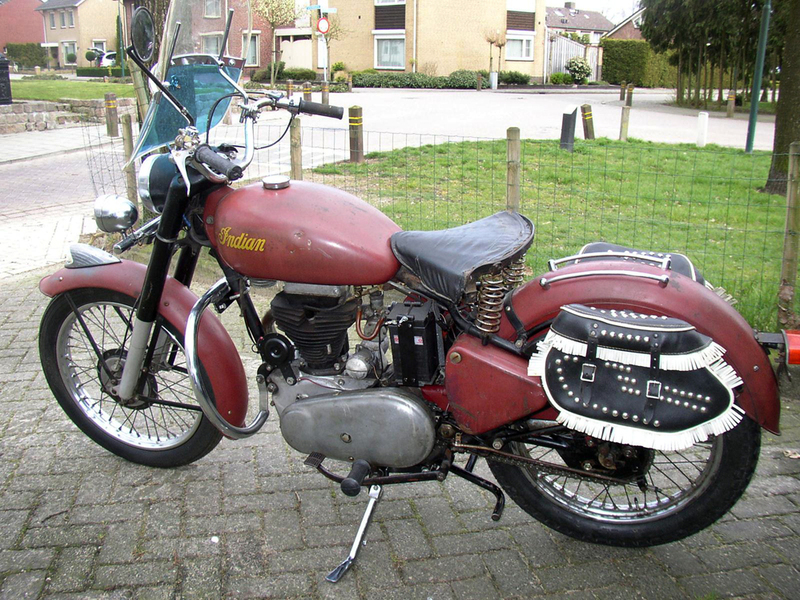 Latest Royal Enfield Classic 500 sports the same oval box of 1956.